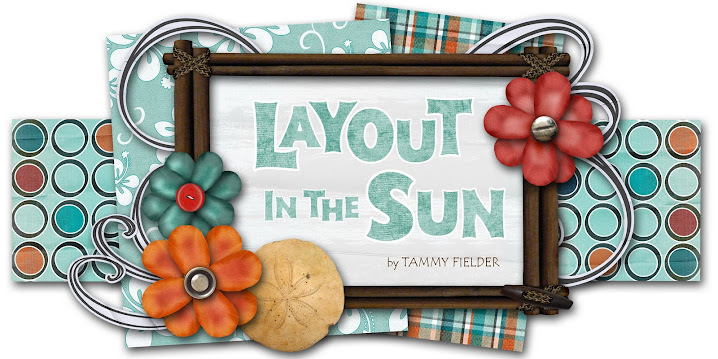 LAYOUT IN THE SUN: I'm a Guest Sketch Designer on Prairie Paper & Ink!!! I'm a Guest Sketch Designer on Prairie Paper & Ink!!! I'm so excited! I am actually now a guest sketch designer for Amy's Friday Sketch Challenge over at Prairie Paper & Ink... and she's going to use my layouts once a month! Here is my first layout she used, and my sample. I can't wait to see what others come up with! Yay me! Thank you Amy!!! 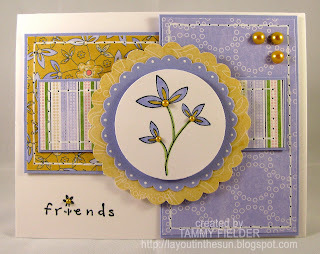 Great job, Tammy! Can't wait to try this one! Congrats!!! I love the sketch and the card. I will have to try this one. Thank you so much for the awesome sketch this week! I had a ton of fun playing with it this week!